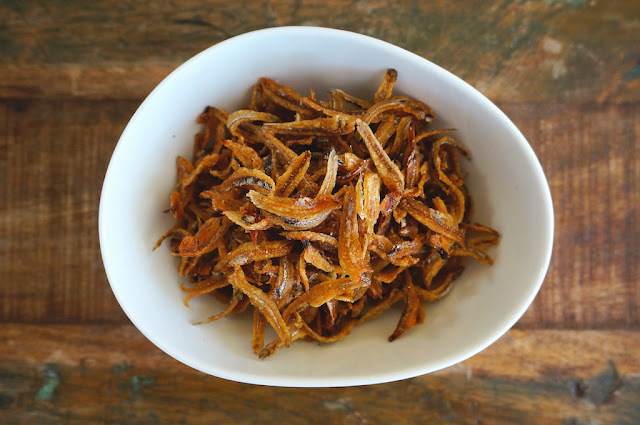 There are a wide variety of ways to serve fried crispy anchovies. One of the most well known uses for it would be serving it along with Nasi Lemak, a popular dish in Malaysia. Other examples of how it can be used include, pounding them finely to add into rice porridge, as a topping for varieties of noodles, flavouring for many sambal dishes, and are great for making snacks. Whichever way you want to have it, make sure to check out my video and learn how to prepare these crispy anchovies.